and been handed down along with the nature’s bounty. On March 8, 2013 the Nibutani Biratori handicrafts of Nibutani-ita (wooden trays) and Nibutani-attus (textiles made from tree bark) became the first handicrafts from Hokkaido Prefecture to be designated as Traditional Craft Industries by the Ministry of Economy, Trade and Industry.Traditional craft items are designated by the Minister of Economy, Trade and Industry under the Act on the Promotion of Traditional Craft Industries. Nibutani-ita is a flat, shallow tray made of wood, whose manufacture is a tradition has been passed down since ancient times in the area around the Sarugawa River in Hokkaido Prefecture. 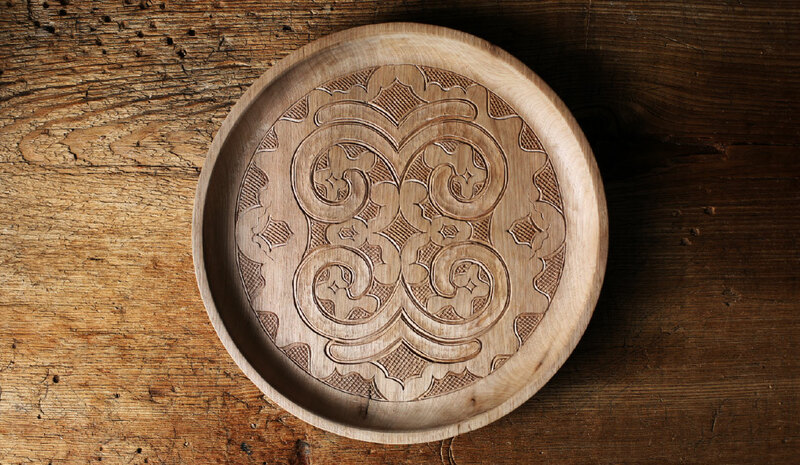 Nibutani-ita is characterized by its spiral Moreunoka patterns, and Ramuramunoka carved fish-scale patterns, which are designs unique to the Ainu people. 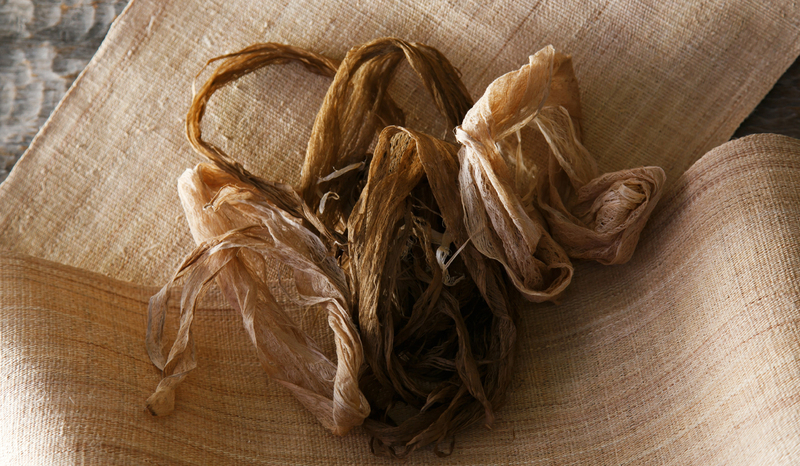 Nibutani-attus is a textile woven from yarn made of the internal skin of the bark of Ulmus laciniata, or lobed elm, and other trees that grow in the forests of the Sarugawa river basin. It is distinguished in particular by the twist given to the yarn.Nibutani-attus is characterized by its excellence in waterproofness and breathability, as well as durability, a rare feature for natural fabrics, as well as its unique texture. The textiles are often manufactured into Kimono, Hanten short coat, Obi belts, and small articles.